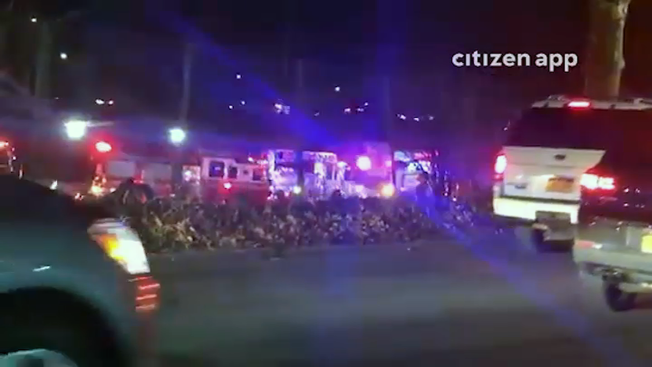 A sanitation truck overturned on the Belt Parkway in Queens on Saturday evening, hurting four people, the FDNY said. The garbage truck pinned two other vehicles, the FDNY said in a tweet. One person was seriously injured and three people suffered minor injuries, the FDNY said. All the victims were taken to Jamaica Hospital. The westbound lanes of the Belt Parkway had reopened by 11 p.m.